Oceania Aviation is an Australian owned Ground Handling Services Company. We provide professional, efficient ground handling services to leading airlines and supply, maintain & manufacture innovative ground handling equipment. Oceania Aviation first commenced ground handling operations in June 1996 and now have over 250 staff in 9 locations across Australia and the Pacific. Our Company combines the latest technology and equipment, expert staff and a confident hands-on management style to deliver practical and high quality services. The senior management team have many years of combined airport, airline and business management experience. They have nurtured their passion for the industry in a variety of airports across Europe, Asia/Japan, the Pacific, New Zealand and Australia. From the ground level up, Oceania Aviation places great emphasis on fostering a positive service culture and rewarding team environment. Oceania Aviation understands the needs and challenges of the aviation industry, which is why our comprehensive aviation ground handling services are the number one choice for leading domestic and international airlines. Qualified and experienced personnel are the driving force behind Oceania Aviation’s dynamic service culture. Our expertise extends to all aspects of well co-ordinated airport ground support, with the ability to develop and deliver customised service solutions. Airline check- in requires more than basic customer services skill. Oceania Aviation personnel epitomise the highest level of service standards, industry knowledge, organisation and efficiency. Oceania Aviation maintain up to date training schedules to ensure high on time performance. Complex planning, co-ordination and communication equates to Oceania Aviation’s precise system of ramp and loading services which are controlled by skilled professionals and supported by modern, well maintained equipment. 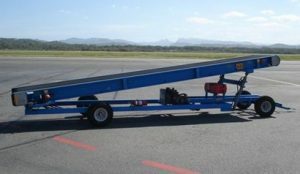 Oceania Aviation understands the benefits of top performing Ground Support Equipment (GSE). We take pride on offering a wide range of products, serviced at the highest level. Oceania Aviation leads the way in custom-designed and manufactured GSE, meeting all the needs of airlines at the ground level and delivering superior products for better value. Safety and reliability are the foremost objectives for the GSE department, which results in airlines avoiding unnecessary delays due to equipment malfunction. Oceania Aviation adheres to strict maintenance regimes for all equipment, including daily serviceability reports and action logs. With a well-cemented reputation for aviation expertise, Oceania Aviation can provide on request, maintenance and servicing for most types of ground support equipment. Oceania Aviation’s multi-skilled engineers provide the highest standards of service and deliver superior, timely maintenance, in a cost effective manner. Oceania Aviation offers a complete charter handling service. Handling both domestic and international aircraft movements in Apia (Samoa), Ayers Rock, Ballina, Brisbane, Coffs Harbour, Gold Coast, Hervey Bay, Newcastle, and Weipa. Oceania Aviation will exceed the highest levels of comfort, service and security for both passengers and crew. Clients are assured of a smooth and well-organised service, with the option of fully customised packages and the confidence drawn from Oceania Aviation’s extensive experience in the Aviation industry.